T-Scan v10 software is the latest release in digital occlusion technology—the only tool on the market that reveals the force, timing, balance, and location of contacts in the mouth in real-time. Seamlessly incorporate occlusion as part of your intraoral workflow, integrate biometric data, and work more efficiently with improved chairside functionality. Stocked with NEW features and enhancements to simplify digital occlusion, T-Scan v10 also boasts improvements to the database, security, and patient files and reports. Design and functionality features allow you to capture bite data more efficiently, so you can quickly take action on problematic contacts. And more! Contact us today for more information. 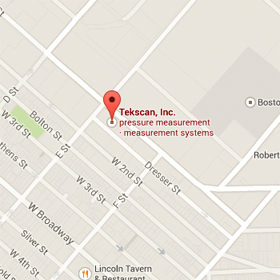 The release of T-Scan™ software makes analyzing occlusion easier than ever. New and improved features enhance usability and increase efficiency for dentists where occlusion is a part of everyday practice. Installs quickly on any Windows 8 supported device -including tablets! 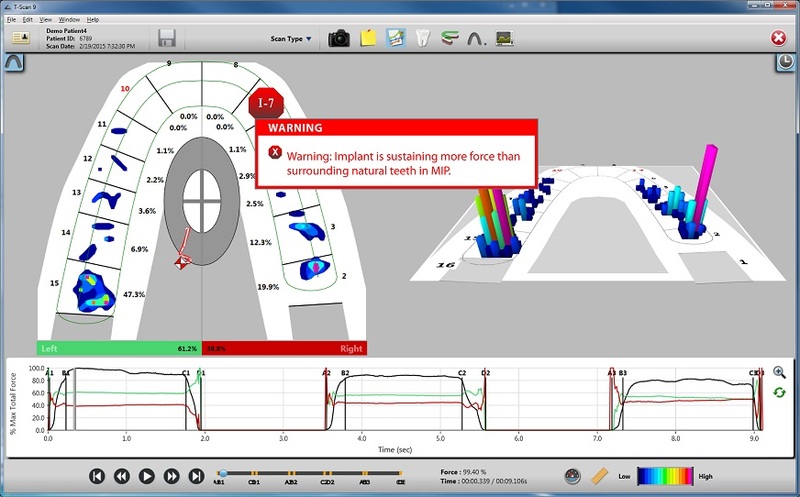 We added features that will enhance your experience with T-Scan including real-time handle installation, improved sensitivity slider, lower arch selection, Center of Force segmentation, Compare Mode for ABCD lines, collapsible panes, tooth selection widgets, improved report format and more. Welcome back, ACSII Output Module! This allows researchers to quantify and analyze bite data. Our training videos were built to show you how to use the new software and familiarize yourself with new features. Check out T-Scan Training Software 9.0 for an overview of new software features and a closer look at how to set up a Digital Impression Overlay. Want to learn more about the newest release? 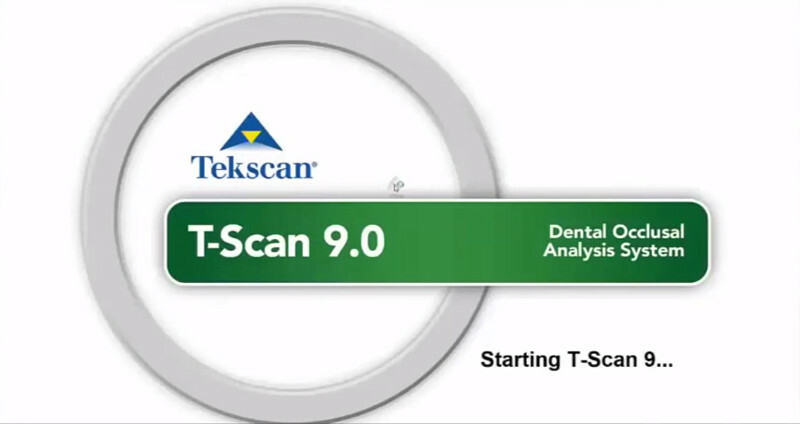 Watch T-Scan 9.0 Demo On-Demand to get the grand tour of the new software from our very own Dental Product Manager, Sarah Hutchinson. Inspired by T-Scan users who wish to learn more about the benefits and key features of the new T-Scan Software Version 9.0, this informational webinar is built for anyone who would benefit from a demonstration of the software. 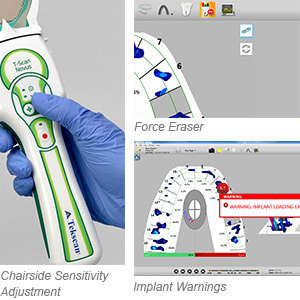 Do you have feedback about T-Scan 9.0 software, or want to learn more about how you could benefit from this update in your practice? Contact us today!